Below is a brief overview of Self-Regulated Strategy Development (SRSD), given by Dr. Karen Harris, the creator (with colleagues) of SRSD. We also invite you to read the free articles written by thinkSRSD’s team and the many SRSD researchers listed here. SRSD is a complex approach to teaching writing, but thinkSRSD makes it easy for teachers to learn. Research on SRSD done in empirical studies, as well as from schools partnering with us at thinkSRSD show the significant transformation this approach makes possible. While there are many elements to SRSD, key characteristics are often already familiar to teachers. Starting with these, launches a successful start. The SRSD journey launches with a vision of possibility. Students see exemplars written by peers or in mentor texts, then receive lenses for analyzing these. Inspired with vision, prepared with scaffolds, students watch models of how to go through the writing process and begin to use it themselves, with support. This support is designed to launch them as agentive, self-regulating writers who are in charge. These lenses then become scaffolds students use to create their own writing. Additional scaffolds such as how to follow the writing process are then offered. thinkSRSD is the community of teachers and researchers who use and study SRSD. We offer SRSD in-person professional development and e-learning courses taught by teachers with decades of experience using SRSD. 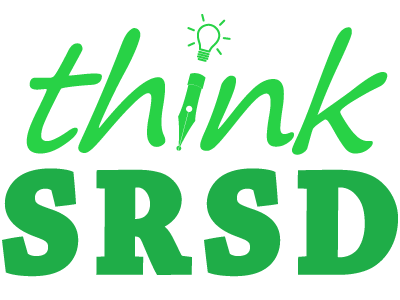 The teachers at thinkSRSD have taught SRSD courses for over 10 years, since offering the very first open enrollment course in SRSD in 2008.